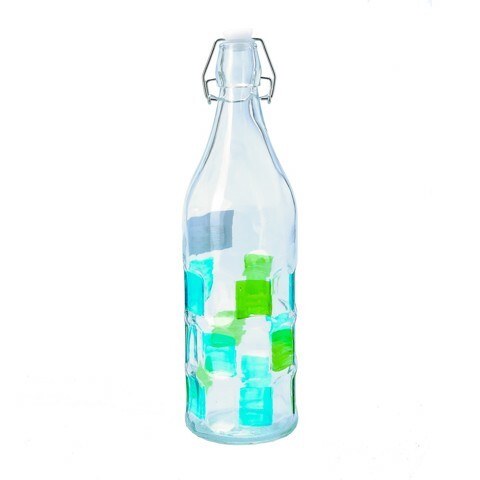 Glass Water Bottle Coloured 1L. 9 x 9 x 32cm | 1L. Blue | Clear with Lemons | Clear with Blue & Green Tiles. Glass | Plastic | Iron. 0 Packaging: SRT.